The end of Aleister Blavatsky trilogy on Blacksam is a solo piano song composed in a convent in Turin area; it sounds wet, lowfi and melancholic. Decomposer duo cuts and stretches the stems to bend everything into a dark and cinematic mood; glitches and breaks appears and suddenly disappears while voices from nowhere tries to emerge from a deep ocean of sound. 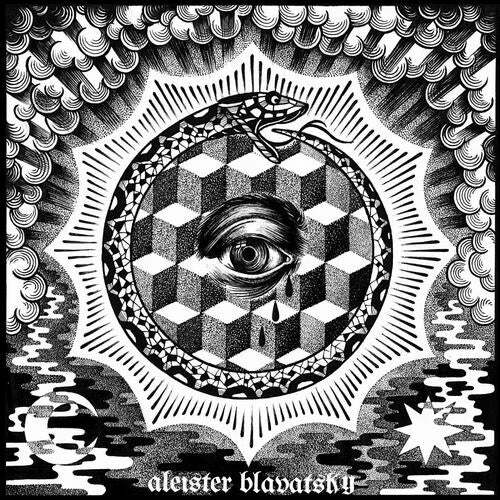 Aleister Blavatsky is a new faceless project from an underground musician sounding like the meeting point between theosophism and emotionally inclined techno. His debut on Black Sam imprint is a trilogy inspired by white magic triangle cities. (De)Composer is a space created in Barcelona,now based in Berlin for music production, managed by Carlo Marchionni and Agostino Maria Ticino. Both are making music for cinema and tv (shows, commercials, documentaries). This is their first collaboration with Black Sam Records.